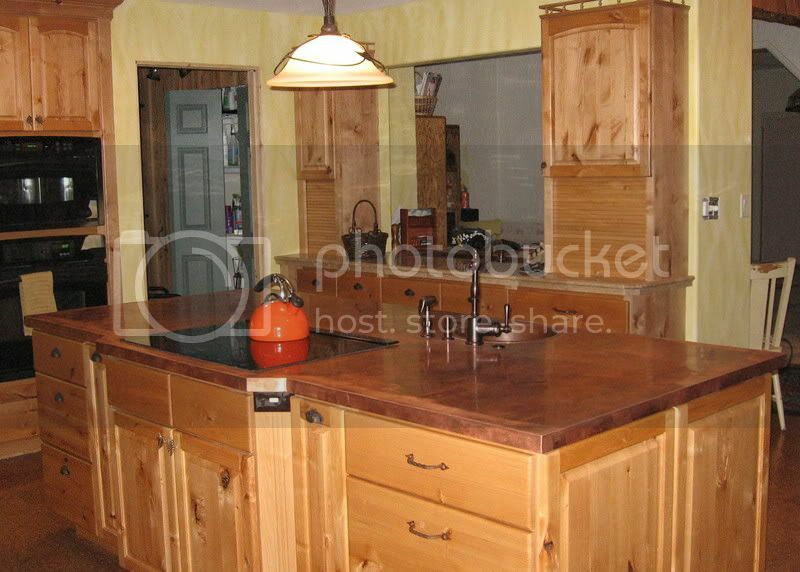 Most people choose granite, quartz, laminate, or wood as a countertop material. These people are not most people. All that glass stuff you've dropped on the floor? This is what happens to it. 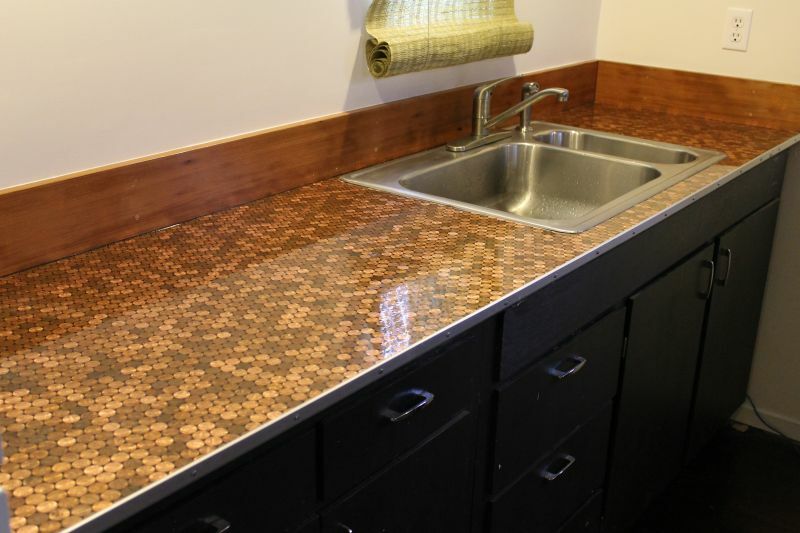 Yep, that counter is made completely of recycled glass. It's like they say: One man's trash is another man's countertop. ...That's a thing people say...right? Look no further. It's made of pewter, which, In the middle ages was the go-to material for most eating and drinking utensils until it was replaced by glass and porcelain. Nowadays you really only see in decorative statuettes, 4th place medals at the US Skating Championships, and of course, this countertop. Would you still like it with a nice patina? You know, patina...that thin, often green layer that forms on copper surfaces (like this counter, for example) after long exposure to the air. Yes, we know we said you should go green in the kitchen, but we didn't mean like that. Sometimes two items combine to make a...well...a really peculiar piece, like this zinc/reclaimed wood countertop. In case you're wondering, reclaimed wood is unused wood that has been repurposed. We can only guess at what the original intended use of this slab of tree was. Maybe a Native American boogie board?